It’s National Ice Cream Day! Posted on July 15, 2012 by Michelle M.
So treat yourself to a scoop. Or two! 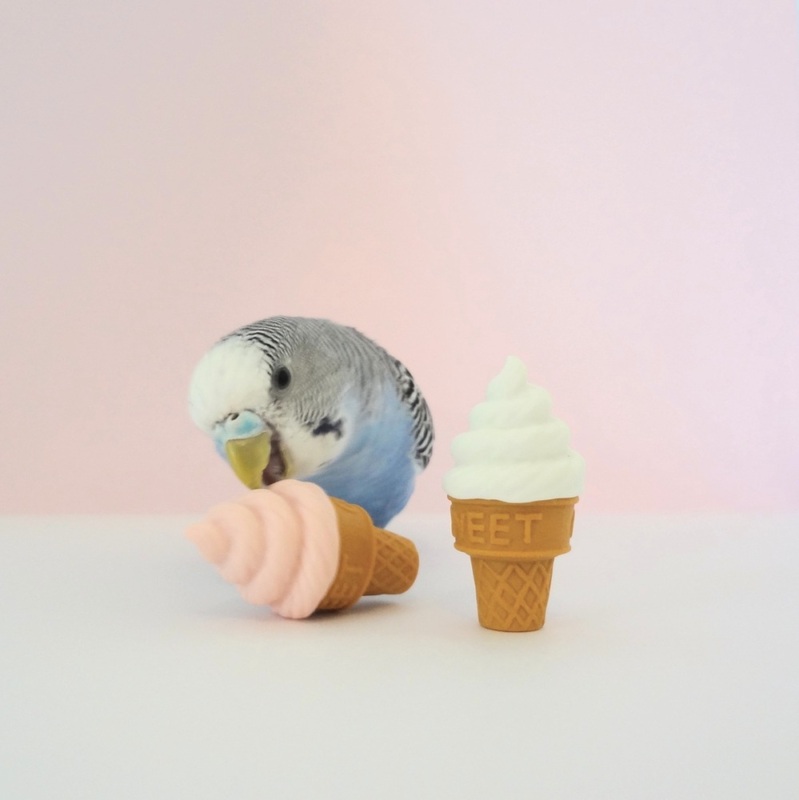 This entry was posted in Budgie food, Holiday Fun and tagged budgie, Cooper, holiday fun, ice cream cone, National Ice Cream Day, parakeet by Michelle M.. Bookmark the permalink. I’m beginning to think there’s a National Day for just about everything. Except budgies. Hmmm. I should get on that! Do those cones say “Tweet” … because they should! You’re right. But they say, “Sweet” – just like Cooper and Dewey. I’m planning on restocking on ice cream today. I would have done this sooner, but the store that I was at had their ice cream prices 50% above normal. What store was that? Yikes! Ralph’s. They always have the ice cream on sale except for last week. I went to Von’s instead.